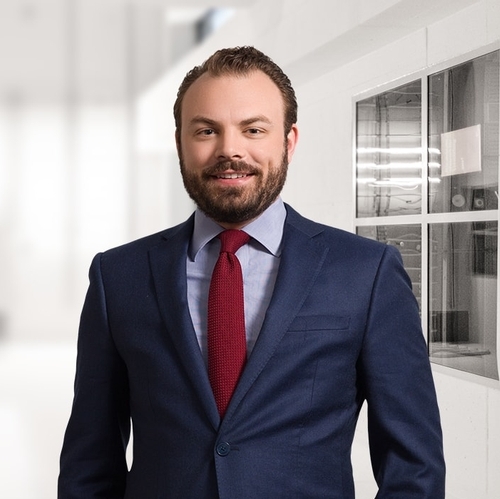 Tim, Co-Chair of the Construction Law & Litigation Department, maintains a broad-based transactional and commercial litigation practice, with particular focus on construction, real estate, and sustainability. He regularly represents real estate developers, owners, lenders, designers, contractors, subcontractors, and vendors throughout all stages of development – from acquisition, design, and financing to construction, occupancy, and sale. Tim’s transactional practice includes the drafting of development related agreements, including construction and design contracts; purchase and sale agreements; loan documents; and community association documents. Tim's practice also includes providing advice on sustainable development; energy efficiency; co-generation; solar facilities; and related incentives. He is also a LEED Accredited Professional, accredited by the United States Green Building Council. In addition to transactional work, Tim represents clients in litigation, arbitration and mediation throughout New York and New Jersey. He advocates for clients in a wide variety of complex commercial disputes, including construction, commercial contract, loan, land use, consumer fraud, lien and other disputes. He specializes in troubled construction projects with the goal of helping clients achieve their objectives in the most efficient, practical, and cost-effective manner. He has assisted in the resolution of cases ranging from a few thousand dollars to hundreds of millions and has significant experience in troubleshooting issues with a hands-on, result-oriented approach. Prior to joining the firm, Tim worked with an international dispute resolution firm assisting parties in resolving disputes throughout North America and Europe in a wide variety of projects, including vertical building, heavy highway, and utility construction, among others.